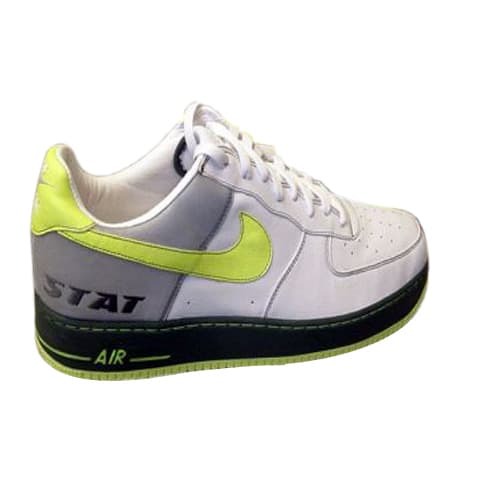 Nike Air Force 1 "STAT (Neon/3M)"
"I love Air Forces with anything on the side, so I was copping off the bat. Like the Chi-towns, the NYCs, the Puerto Ricos, and the West Indies, if they had the little things on the side, I was copping. I made about four or five phone calls, and no one knew about these. I ended up meeting some dude who had 'em and ended up taking them off of his hands instantly. He didn't even charge me that much."